Hola! My name is Paddy Sullivan. I work in membership at Bookshare and I believe in bilingualism. I am lucky to be able to contribute this passion to Benetech by providing outreach and membership support in Spanish to the commonwealth of Puerto Rico. Why shouldn’t visually impaired and disabled students in the United States have easy access to the study of the languages? Why shouldn’t students in Puerto Rico benefit from our technology and services? 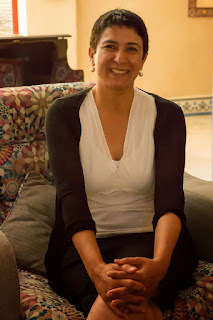 These were the questions that inspired my relationship with Marta Sanabria, the supervisor of Special Education of Puerto Rico who invited Bookshare to perform trainings for teachers, parents and agency workers on the island. 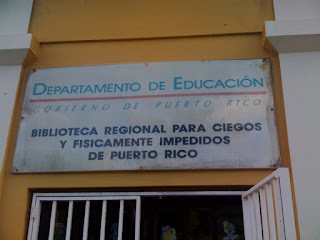 As an independent territory of the United States, the schools of Puerto Rico are subject to the same federal laws and IDEA initiatives as every school in the 50 states. From the week of March 30 to April 4, five Bookshare training sessions took place in four of the island’s Service Centers for Special Education. 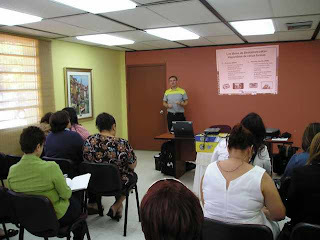 These training sessions, delivered in Spanish and English, were attended by 134 teachers, 14 state employees and 6 parents. They took place in Las Piedras, Bayamon, Hormigueros, and Ponce. My most notable feeling from this experience was that of respect for teachers. I felt first hand the technological, structural, and emotional challenges of delivering an engaging six hour lesson to groups of 30-40 people. Bookshare, and the overall concept of technology serving humanity, was very well received. One of the teachers enjoyed the training so much that he gave me his Puerto Rican national baseball cap! 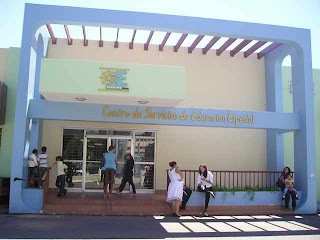 In order to serve its population of 4 million, the Puerto Rican Department of Education divides the island into seven regions. 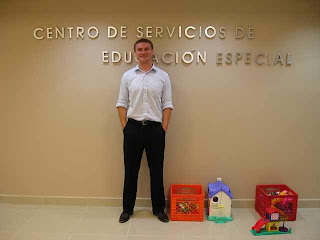 Within these regions there are nine Service Centers for Special Education that train and service teachers and students. The presentation in Bayamon was attended by Igri Enriquez, director of the Regional Library for the Blind and Physically Impaired. Moreover, while in San Juan, Bookshare was able to attend the 11th Annual Assistive Technology Conference directed by the University of Puerto Rico’s Assistive Technology Program (PRATP). This university run program, a very good example of valuable networks in Puerto Rico, takes the responsibility of promoting changes in public and private systems to increase access to assistive technology for people with disabilities. This photo was taken in a library in San Juan. The text reading, “Toys adapted for children with impairments” is part of a PRATP initiative to develop inclusive learning centers for children with disabilities. 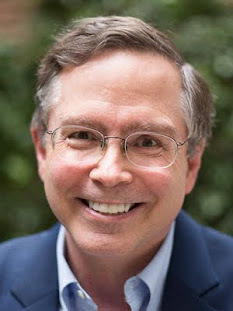 This organization shares many of Bookshare’s philosophies and visions. The conference was attended by 600 people and took place over two days in the San Juan Convention Center. 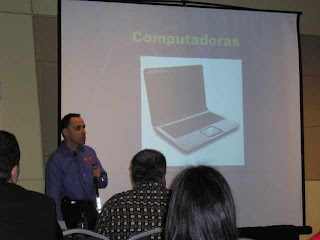 The significant keynote speaker was a visually impaired man named Manolo who works for the University of Puerto Rico and leads a social network which spans across all nations where Spanish is spoken. His message was centered around social progression and the positive and pervasive role of technology in the inclusion movement. 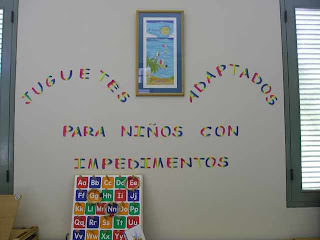 The inclusion and assistive technology movement of Puerto Rico is noteworthy, as illustrated by the brick and mortar formal institutions dedicated to Special Education and the informal social structures which I experienced with parent support groups, national federations, and multiple professionals working in the Special Education field. As Bookshare experiences growth and success, it will undoubtedly continue to inspire and be inspired by such teachers, students, and organizations as I encountered in Puerto Rico.